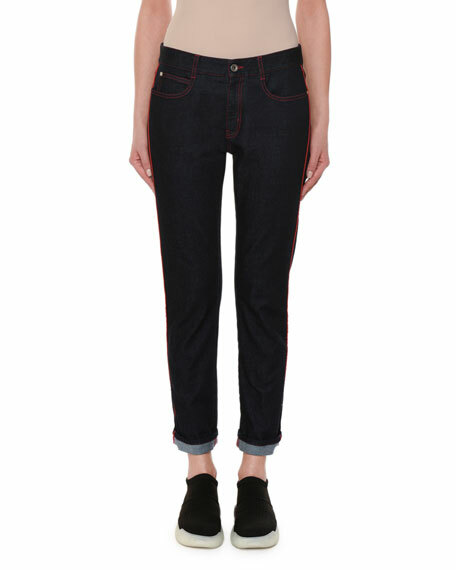 Stella McCartney skinny boyfriend jeans in dark wash denim with red twin-needle stitching and piping. Approx. measurements: 10" rise, 27" inseam, 36.5" outseam, 14" leg opening. For in-store inquiries, use sku #2580960.